Last weekend saw an “unprecedented” shift in demand and supply patterns sent the wholesale price tumbling into negative pricing for more than six consecutive hours, bottoming out at less than -£70/MWh in the middle of the day. Cornwall noted that imbalance prices turned negative for 13 consecutive settlement periods in the day, impacted by low demand and high levels of wind output forcing the system operator to reduce output from wind, CCGT and biomass power stations. 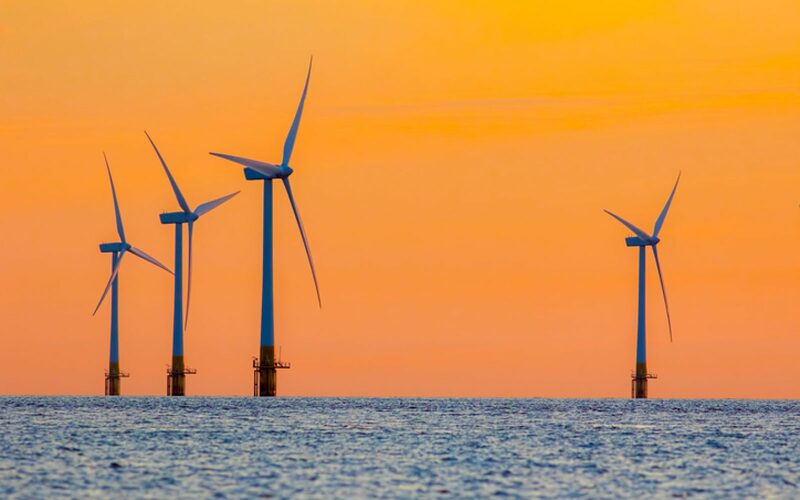 While the research firm concluded that negative pricing in the BM was nothing new – indeed, prices have slipped into the negative when wind has been traditionally high – its forecasts have led it to believe that such instances could become considerably more common as renewables capacity rises further. By 2034, as much as 14% of half-hourly settlement periods could produce negative prices, Cornwall has predicted. 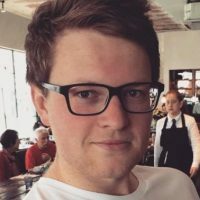 Tim Dixon, wholesale team lead at Cornwall Insight, said negative prices were on an “increasing trajectory” not only because of increasing renewables, but also because of changes to the imbalance price calculation. “Sunday’s events highlight the increasing impact of price cannibalisation – the depressive effect that high levels of intermittent renewables output have on the wholesale power price – which can significantly reduce revenues for renewable generators. Dixon also raised the prospect of such price cannibalisation having a significant impact on the business case for new build renewables due to its potential to reduce merchant revenue forecasts. 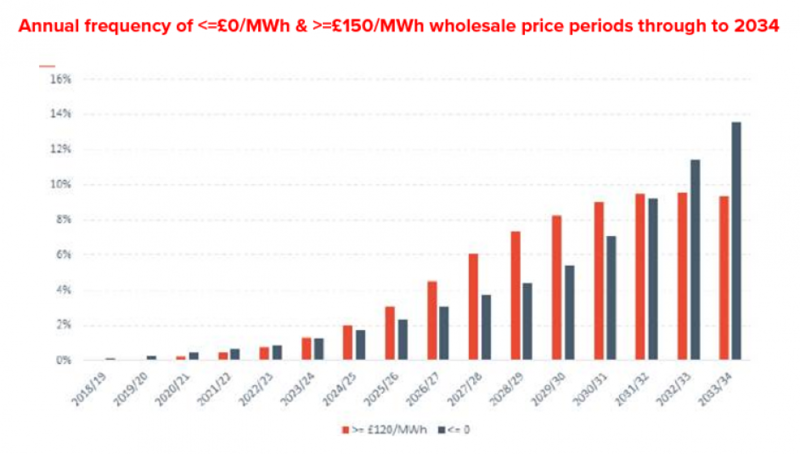 “Negative pricing, both in the BM and on the wholesale market, is a trend that seems set to grow and is one to watch out for as more intermittent renewables capacity comes online, a lot of it under a CfD. “Given other changes likely to impact the sector in the next ten years – from vehicle to grid to peer-to-peer trading – the wholesale market as we know it already looks set to dramatically change,” he said.